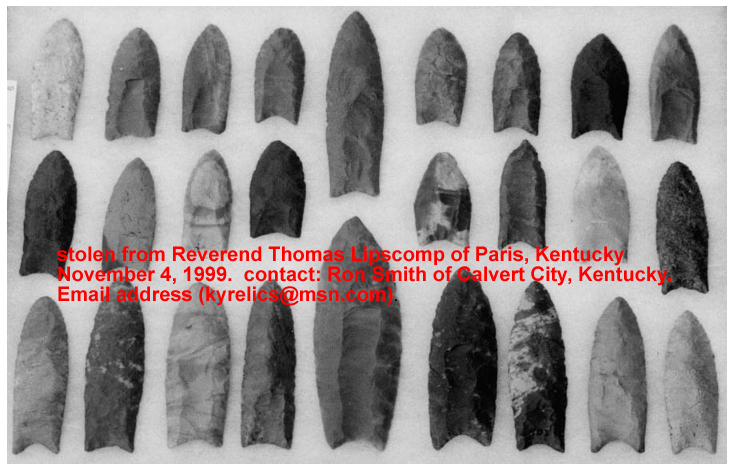 On November 4, 1999, retired Reverend Thomas Lipscomp of Paris, Kentucky, had two frames of Paleo points stolen from his home. All 56 points pictured here are from Central Kentucky. Some of these points where gifts from his parishioners. The largest point pictured is 5 1/2 inches long. 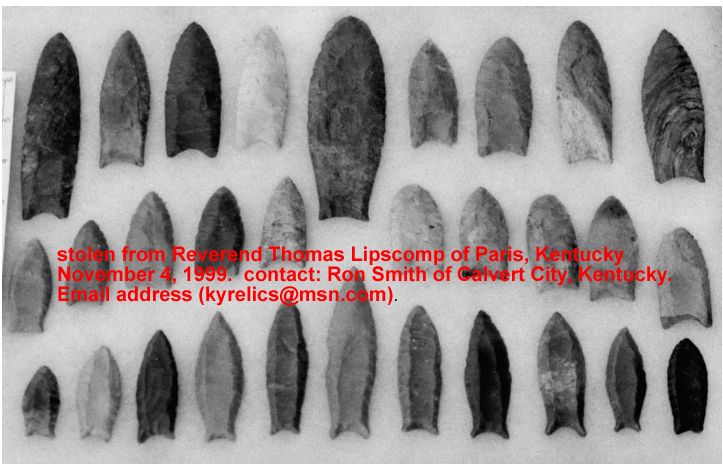 Reverend Lipscomb would very much like his artifacts back. 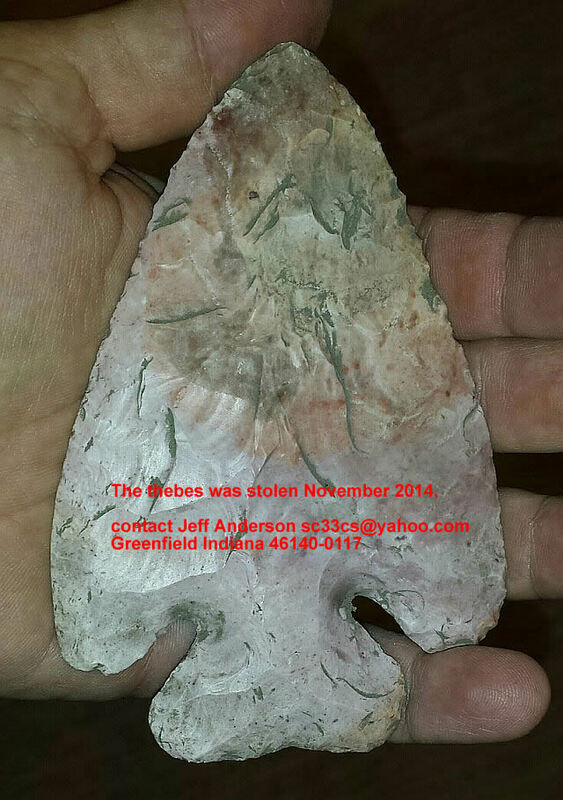 If you see or have information of these artifacts contact: Ron Smith of Calvert City, Kentucky. Email address (kyrelics@msn.com).